Lord Patten started with Confucius and I would like to follow with another Chinese philosopher Lao Zi (老子). He said governing a big country is like cooking a small fish (治大國如烹小鮮). Those of you who like steamed fish Chinese style will understand exactly what is meant. The fire has to be just right, seasoning light, timing perfect and your hands gentle. If you meddle too much with a small fish, you make a mess of it and may even end up with bones stuck in your throat, a most unpleasant if not dangerous experience. I think our former Financial Secretary Sir Philip Haddon-Cave must have been a disciple of Lao Zi because he coined the term “positive non-interventionism”. I know this is meant for economic policies but it does tell you something about the style of governance. Donald Tsang when he became CE, changed this to “Small Government, Big Market”. C Y Leung changed this to “appropriately proactive” which means, (following on with the cooking theme), he wants his finger in every pie, appointing what the papers call “Leung fans” to his cabinet, statutory bodies and also universities. So I want to talk about non-intervention. A week ago, when I was asked to be the last minute substitute for Jasper (I apologize if you paid 500 bucks to listen to him instead of me) I was tempted to give this as my title. In the end I decided on “separation of powers” which is of course the correct term. Except that this is politically incorrect, because we have repeatedly been told by our Beijing leaders that it should be co-operation rather than separation. 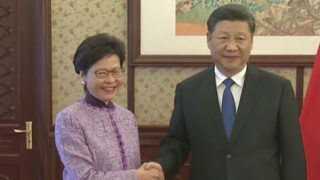 In 2008, when Xi Jinping came to Hong Kong, then as Vice President, he said that there should be “sincere co-operation” amongst the “governance team” of the Executive, the Legislature and the Judiciary. You all know separation of powers means having check and balance and division of responsibilities so power would not be concentrated in one branch. 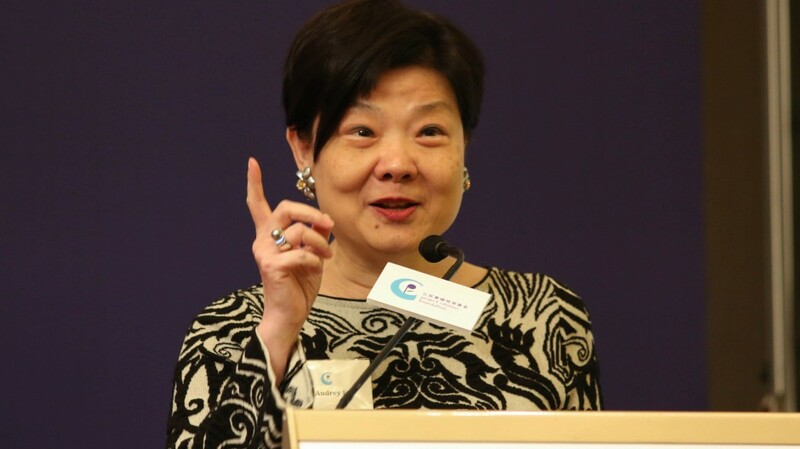 But in the 2014 White Paper, issued by the Chinese State Council, it is said that “The Hong Kong People who govern Hong Kong should above all be patriotic…loving the country is the basic political requirement for Hong Kong’s administrators”. And administrators are defined to include the Executive, the Legislature and the Judiciary. This led to a public outcry. The Hong Kong Bar Association said and I quote “judges are not to be regarded as part of ‘Hong Kong’s administrators’ or part of the governance team upon whom a political requirement is imposed”. 1,800 lawyers in black staged a silent march in protest. At the time, it was explained away as some translation glitch. But this same point was repeated again only this month by Zhang Rongshun (張榮順), the vice chairman of the NPC SC Legal Affairs Commission in his interpretation of the Interpretation by the NPC SC. So what then? What happens when you have co-operation rather than separation of powers? One line in Lord Patten’s talk struck a chord with me – he said “elections that cannot change anything, or not very much, is a farce.” We all know how much or how little Hong Kong elections – whether of the legislature or of the CE – can change. That brings me to the word “farce”. 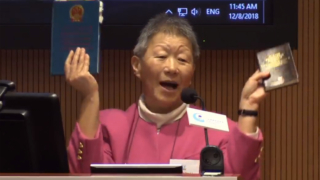 Not that long ago, we used to laugh at the Taiwan legislators when we see them on television grabbing microphones and throwing punches. Now the laugh is on us. Our legco has its fair share of grabbing and throwing. One undersecretary made a report to the police because a legislator grabbed his file. Another legislator made a report to the police against the same legislator for throwing luncheon meat. When I was in Legco, we used to insist that police cannot enter the Legco precinct. Don’t trespass on our turf. But how many times did the Legco president have to call the Police in recent years? (Unfortunately Jasper is not here to answer that question). In the good old days (I don’t mean when Chris Patten was governor I mean when I was in Legco), we were at least pressing for a time table and a road map to universal suffrage. There was something to look forward to. Now with the 8.31 NPC SC Decision, all hopes were dashed, and with elections that cannot change anything, it is hardly surprising that Legco proceedings sometimes degenerate into a farce. But I want to come back to my theme about non-intervention or not trespassing on my turf. Here we don’t have parliamentary supremacy, so surely the courts can interfere and tell the Legco president when he gets the law wrong? How is non-intervention consistent with check and balance and the rule of law? It is. First of all, non-intervention does not mean lack of power, it means the court exercising self-restraint, it means having respect for the decision maker in his or her area of responsibilities. We lawyers have a fancy term for it, we call it “margin of appreciation”, according suitable deference to the decision maker – be it the government official or the Legco President. A judge does not overrule the minister or the president because he disagrees with him, he interferes in limited instances; e.g. when the decision maker acted ultra vires (outside his power) or what lawyers call Wednesbury unreasonable (grossly unreasonable). And even when the court does interfere, it does not substitute his own decision, but remit the matter back for reconsideration. So what happened in the recent oath saga? By gazette, the new legco term commenced on 1 October. As per the Legislative Council Ordinance, the legislators-elect take office (就任) unless they give notice to the contrary. According to article 104 of the Basic Law, they have to take the oath upon assuming office (就職). The oath taking was arranged for 12 October. Two of these legislators took their oath is such a way that it caused a huge uproar. The details need not be gone into. The Secretary said their oath taking was invalid. But the President of Legco – after taking legal advice – ruled that they should be allowed to take the oath again if they requested it. They did so request and this was scheduled for the following meeting. 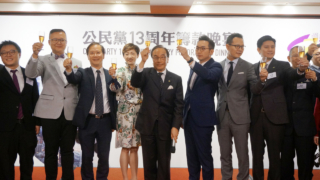 The CE and the SJ launched a judicial review to quash the decision of the Legco President. They failed to get an interim injunction to prevent the second oath taking. However the pro-establishment legislators staged a walk out and the next meeting was aborted due to a lack of quorum. The judge, Au J,fixed an early hearing date and heard arguments on the Thursday. But the week before he gave judgment, the NPC SC rushed in to make an “interpretation” (and I put this word in quotation marks) purportedly of article 104 of the Basic Law but in effect supplementing local law, namely the Oaths and Declarations Ordinance as to what amounts to a refusal to take the oath and mandates that there is no second chance. 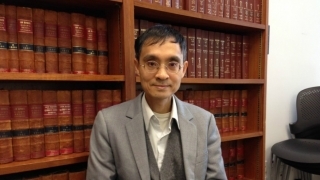 Following the Interpretation (no pun is intended, I mean sequentially in time), Au J gave his ruling and quashed the decision of the Legco President. In his 56 page judgment, he emphasized that with or without the “Interpretation”, the result would have been the same. I am not here to debate whether you should believe him or not. I want to highlight a few points of concern. 1. When should the court intervene and when not? Where is the line? In all the previous cases, including Long Hair’s judicial review on the president’s decision to stop the filibustering, the court refused to intervene and said separation of powers, the judge should not interfere with the decision of the president in internal matters. In the oath case, the judge still said separation of powers but said this was not an internal matter. What is or is not an internal matter? It reminds me of the arrangement I made with my husband before we got married. I told him in future he would get to make all the big decisions whereas I only make the small decisions but I have the power to interpret what is or is not a big decision. A court of law has to be a little less arbitrary. Au J has not defined the boundaries of an internal or external matter. He says the court is the final arbiter. But as I said above, it is not about the lack of power. Why is deference not shown in this case? 2. The second point is the division of responsibilities. When it comes to matters such as territorial integrity and security or stability of the state, naturally that is the responsibility of the executive. When the government sues its people, the court’s role is to make sure that rights are protected and the law complied with. In the 56 page judgment, there was no mention at all that these two were elected by more than 58,000 voters. Nor of Article 26 of the Basic Law about the right to vote and the right to stand for elections. The judge’s duty – before disqualifying these two – is to balance all facts. Since he has made no mention, we do not know what weight, if at all, he accorded to the views of the electors. 3. And this brings me to the third point. 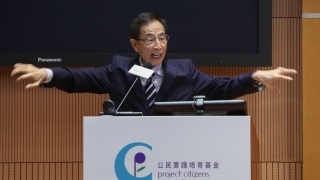 In deciding to give them a second chance, the Legco President no doubt took into account political considerations. As Jesus famously said, “Render therefore unto Caesar the things which are Caesar’s”. Let the President deal with politics. The court is ill equipped for it and that is another reason for the margin of appreciation. 4. There is a saying “Hard cases make bad law” which means extreme cases are bad precedents. In this case, the facts are quite extreme and it may be easy and hence tempting for the court to say the two refused to take the oath and should not be allowed to do so again. But Au J has not said that the decision is Wednesbury unreasonable and has to be set aside. The NPC SC excited a lot of political activists. There are about a dozen judicial reviews in the pipeline each side trying to DQ (that is the trendy term for disqualify) the other camp. The court should be cautious that once it embarked on the road to intervention, it may become a road of no return. Imagine the judge in each case trying to look at the facts and decide if the oath taker was solemn or sincere enough, a conclusion which may differ from one person to another, especially for different sides of the political fence. 5. Finally there is the effective date. In this case, the judge said that the two vacated office and were disqualified on the date of the oath taking, not on the date of the judgment. But what if in the next case, a final judgment is only rendered six or more months after the legislator has taken the oath and served meanwhile as a legislator? Does his or her voting count or does he or she have to return all the salary and reimbursements? Again using the cooking analogy, judicial cooking may be too slow for the political fish. When I agreed to be a last minute stand in and take on this topic, I knew I would get myself into trouble (not because I want to run for CE like Jasper and does not want to be in the same forum as Lord Patten), but because this is a developing situation. When I was being chased for my speech I said I had to wait till Friday for the hearing of the Court of Appeal on this matter. The appeal has concluded yesterday but judgment is reserved till next week. So what I just said may be partially out of date by next week. But one thing I can safely say will never get out of date is this — co-operation of powers under the unitary rule of the central authorities is disastrous for “one country two systems”. Sometimes with governance it is not about power but self-restraint. We pray for a return to positive non-interventionism, or if you want to be politically correct, use the Chinese equivalent, may the river water not mix with well water (河水不犯井水).